Matching folio to the exciting Disney musical featuring 8 songs. Also includes lovely full-color photos from the movie. Original songs by Alan Menken and Jack Feldman. Highlight your men's ensemble with these selections from the Disney 1992 film musical Newsies. The songs have a strong theatrical flavor and can be performed separately, or in the form of a short 4-minute medley. Includes: Seize the Day, Carrying the Banner, King of New York. Available separately: TB, VoiceTrax CD. Duration: ca. 4:00. The Broadway musical Newsies is a thrilling and exuberant salute to the optimism of youth with a melodic score by Alan Menken and rousing lyrics by Jack Feldman that will make you want to cheer! 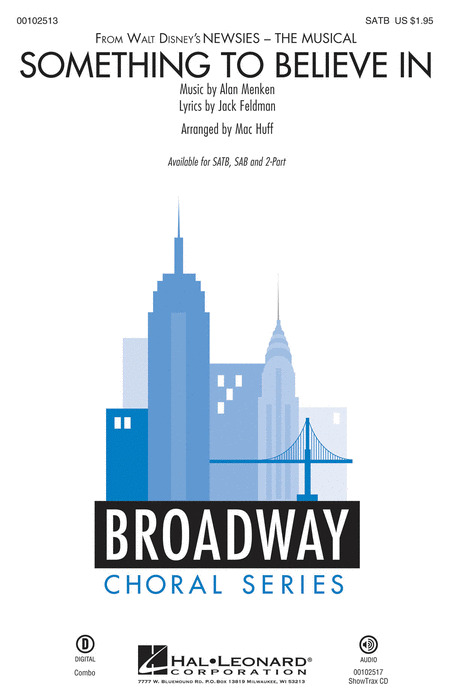 Including new songs and favorites from the movie version, this 10-minute medley is one your choirs and audiences will love! 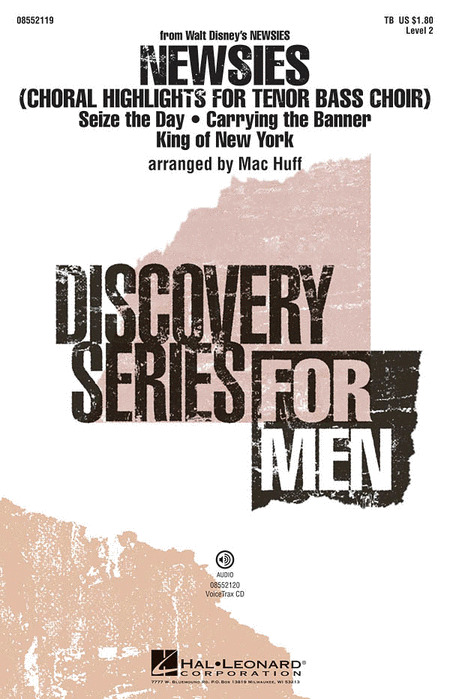 Includes: Brooklyn's Here, Carrying the Banner, King of New York, Santa Fe, Seize the Day, Something to Believe In. 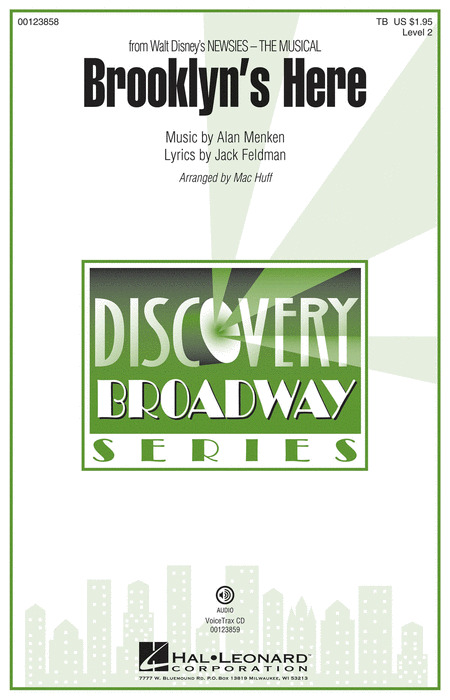 This exciting showstopper from the award-winning composer Alan Menken was featured in the Disney film Newsies. Featuring a powerful brotherhood text, it begins with a compelling chorale-like opening and then explodes into a driving rhythm that builds to a riveting climax. 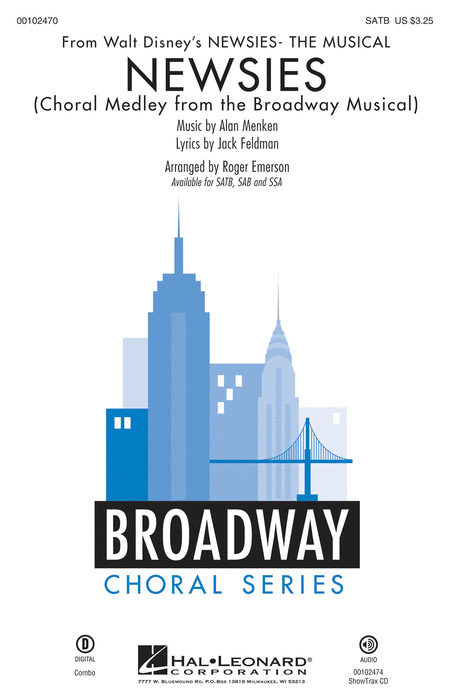 This exciting showstopper from award-winning composer Alan Menken was featured in the Disney film Newsies. Featuring a powerful brotherhood text, it begins with a compelling chorale-like opening and then explodes into a driving rhythm that builds to a riveting climax. This lovely duet is one of the new songs in the Broadway musical Newsies, transformed here into a beautiful choral piece that speaks movingly about finding the courage to seek your dreams. Wonderful for graduation and many other concert programs! Now available in an SSA voicing. 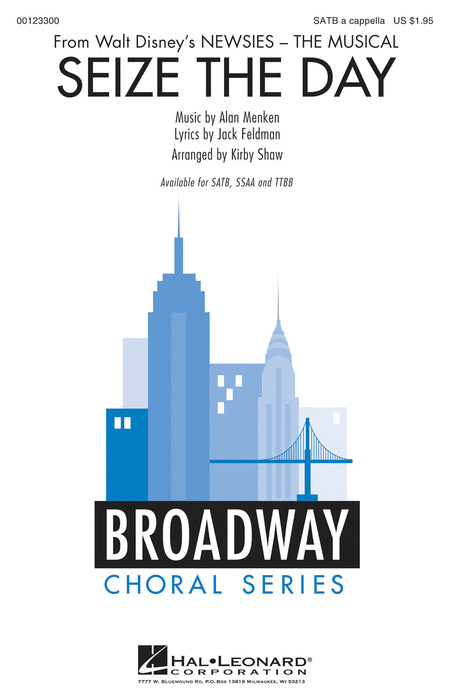 This lovely duet is one of the new songs in the Broadway musical Newsies, transformed here into a beautiful choral piece that speaks movingly about finding the courage to seek your dreams. Wonderful for graduation and many other concert programs!